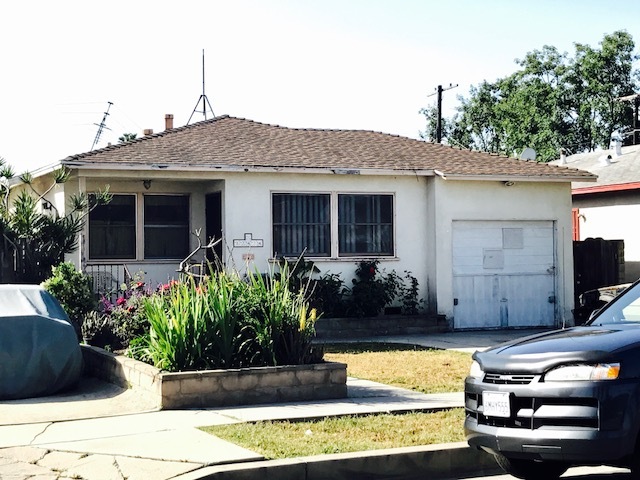 DESCRIPTION: GREAT OPPORTUNITY TO BUY A 3 BEDROOM, 1 BATH FIXER HOME IN THE MARINA DEL REY AREA OF LOS ANGELES. THE HOME FEATURES A LIVING ROOM, KITCHEN AND 1 CAR ATTACHED GARAGE. LARGE WORKSHOP IN BACKYARD (BUYER TO VERIFY ALL PERMITS). CLOSE TO SCHOOLS. GREAT LOCATION. PERSONAL PROPERTY NOT INCLUDED IN SALE. OCCUPANT IN HOME TO REMAIN IN POSSESSION OF HOME FOR 30 DAYS AFTER THE CLOSE OF ESCROW, AT NO EXPENSE TO OCCUPANT. NO COURT CONFIRMATION. TERMS: CASH. BUYER TO OBTAIN OWN FINANCING. FINANCING IS NOT A CONTINGENCY TO THIS SALE. PROPERTY SOLD IN “AS IS” CONDITION WITH NO CONTINGENCIES WHATSOEVER. PROPERTY SOLD SUBJECT TO ACCEPTANCE OR REJECTION BY THE TRUSTEE/OWNERS.